To some, a beach getaway may harken something along the lines of wasted partying in Ibiza. But there’s also the other kind; the kind that brings to mind mild temperatures and soft evening sunlight, pristine, empty beaches devoid of all but wild nature and the sound of frothing waves spilling onto the shore (cue the melancholic Seventies guitar solo). Then there’s a tiny, coastal town, full of picturebook houses, down-to-earth cooking, and a quirky art scene that coexists so peacefully with its stunning natural surroundings that you’ll be pretty sure you’re in a dreamy children’s book. That’s where Chincoteague Island comes in, a little haven just off the coast of Virgina that actually is the setting of the 1947 children’s book Misty of Chincoteague. Chincoteague is no stranger to tourism (especially after the publication and movie adaption of the aforementioned book), but don’t think for one second that it’s akin to the crowded beaches and touristy boardwalks that have taken over many East Coast gems. The island is a peaceful, charismatic getaway where the beach—located on the tiny nearby island of Assateague—are sparsely populated and littered with shells and little sea critters. The uninhabited Assateague is a protected wildlife reserve, where wild ponies, the islands’ main tourism draw, peacefully chew and trot among the beaches and forests. The acorn-colored beauties have roamed the island for hundreds of years. Today, travelers can see them on a scenic boat tour, or in a fenced plot along the Assateague’s main road (as squeal-inducing as these darlings may be, avoid petting—they aren’t afraid to chomp at overbearing fans). The island even has a historical lighthouse for some truly spectacular views. Meanwhile, Chincoteague town is filled with small hotels, Mom-and-Pop seafood shacks, and quirky shops. There’s also the Museum of Chincoteague Island, The Osprey Nest Art Gallery, and The Chincoteague Island Library. Stop by Bill’s Prime Seafood and Steaks for clam chowder and steak, or head over to Steamers for all-you-can-eat shrimp and crab or a snack at their sports bar. A favorite ice cream parlour is Island Creamery, scooping up a homemade range of adorable flavors such as “Birthday Cake” and “Pony Tracks” (vanilla with peanut butter cups and peanut butter and fudge swirl). And do sample a little something from the island’s street eateries, especially The Farmer’s Daughter, dishing up treats such as waffle fries and crab sandwich. Food aside, the merchants of Chincoteague specialize in antiques and beautiful local artworks. Sundial Books is a cove of wonders, stocking not only new, used, and collectible books but also artist-made notebooks, candles and jewelry (you can also hang out for a cup of tea or coffee or catch a local poetry reading or live music performance). There’s even several local festivals for those brave enough to bear the summer high season. Chincoteague Island Blueberry Festival is a lively fair of crafts and folk art, alongside, of course, the titular berry concocted into muffins, pancakes, and even ice cream; and be sure to go with an empty stomach to Chincoteague Oyster Festival, a bonanza of fishy delights. Be sure to rent a bike from the The Bike Depot for pedaling through the two islands (and getting an engrossing blast of that sweet sea breeze). 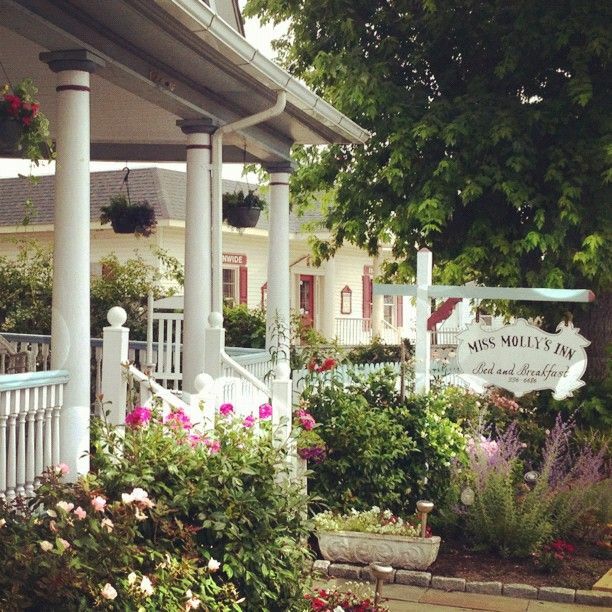 For accommodation, Miss Molly’s Inn is right in the middle of town. The Victorian B&B, where author Marguerite Henry penned Misty of Chinoteague, offers an enchanting afternoon tea with homemade sweets and pastel-colored, Pinterest-worthy rooms to boot. Refuge Inn, meanwhile, give patrons extraordinary views of Assateague’s marshland only a walk away (oh, and there’s on-site ponies. Always a plus).